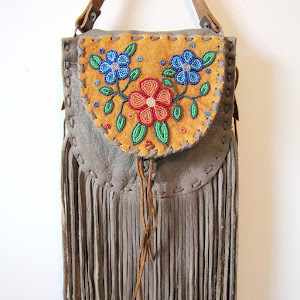 I post a lot of fashion news on the Beyond Buckskin Facebook Fan Page. It's a great way to share info quickly without having to prep and write an entire post on it. I also recently started a 'Best of' post for each month where I highlight some of the coolest images, the most interesting articles, the biggest misappropriators, and the neatest videos that were posted to the Beyond Buckskin Facebook page. 1. 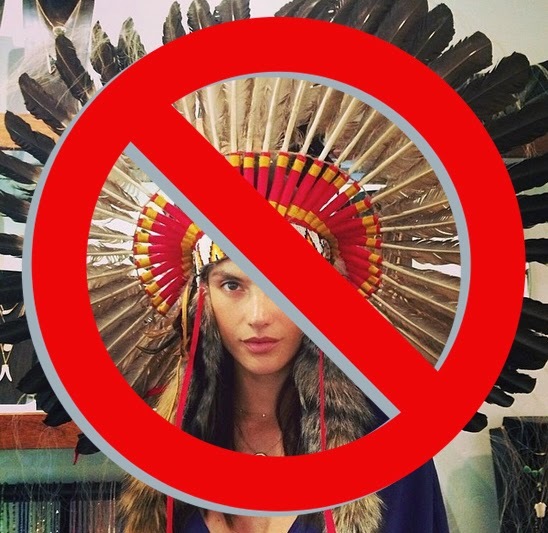 CNN interviewed me, and I said "I think it's time that we stop looking at non-Native versions of Native American cultures as the thing to celebrate and the thing to uphold as the best example of 'Native American fashion.'" - and I stand by that. I have a couple more things to say about this CNN article (and biased commercial partiality-based journalism), which will probably manifest itself in a biting future post. 2. 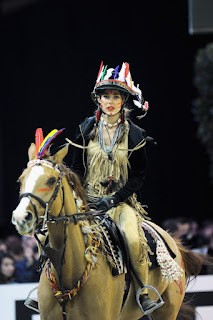 Charlotte Casiraghi, the daughter of Princess Caroline of Hanover, granddaughter to the late Princess Grace Kelly, fourth in line to the Monaco throne, and face of Gucci, dressed up in the “Indian” costume for the Style and Competition event at the Gucci Masters horse show, opposite equestrian Edwina Tops-Alexander‘s “cowboy”. 3. I was on CTV News Toronto talking about whether pop culture is going too far with their misrepresentations of Native cultures. 5. The Idle No More movement picked up steam and even went international. 6. "As a community, we take a stand against KimberyDeiss’ mobile apps ‘Make me Asian’ and 'Make me Indian'. This racist and offensive portrayal of Asians and Native Americans perpetuates damaging racial stereotypes and should not be distributed on the Google Play Store. The apps should be removed immediately.” The app was FINALLY removed. 7. This young boy was being bullied for being Native American from students who used stereotypes about Native people against him- Then he took the opportunity to educate. *heart melts* The young ones are strong. 9. Beautiful Moose Hide Mittens for all your cold winter days! 10. I got pumped about this plus-size style blog by a very cool Hopi-Tewa chick. 11. We gave away a TON of free gear by Virgil Ortiz! Jayne Rantall won a Virgil Ortiz Translator Unleashed Tee, Steve Shaw won a Virgil Ortiz Pendant and a Virgil Ortiz Translator Unleashed Tee, Jaime Sparrowhawk, Brittnee Jordan-Samoilov, and Shan'n DeeWin won a Virgil Ortiz Silk Scarf! Jeri Sundvall-Williams, Leanne Kelly, Tamala Lynn Dailey, Cheryl Eberwein, and Noël Hollinger Folts won an ALL NEW Virgil Ortiz Made In Native America Beanie! And Jaime Kootswatewa was our grand finale winner of a signed limited edition print and a never before seen, one-of-a-kind silk scarf! 12. The new year kicked off and I got to meet up with and hang out with 2 of the 3 lovely ladies of Presence 4.0! 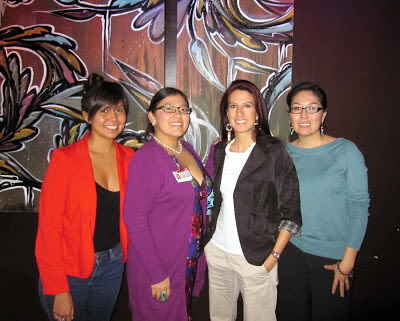 It's a new style blog with a cool Native twist. And we've plotted some events for the new year! 14. 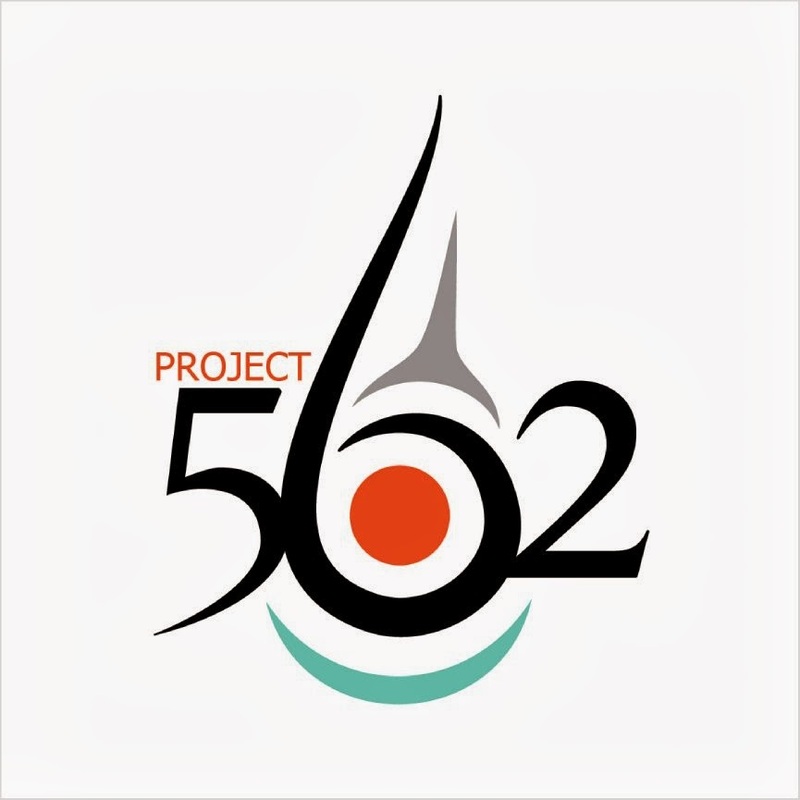 Native American fashion designer Patricia Michaels was selected as one of 16 competing designers for the hit television series Project Runway! This is the first time a Native designer was represented on the popular reality show. 15. There were these smokin' hot images of Shayne Watson's jackets! 16. We can add TI's lame Grand Hustle Gang collection to the growing list of companies that use the 'Indian head' as a 'logo' on the front of a tee/hoodie/whatever. 17. CBS covered this amazing story about Native women warriors. Mainstream media often overlooks us and pegs our experiences as "not interesting to a broad enough audience" - that's rubbish. Our stories are important. What we are doing for our communities is important. Our contemporary existence is important. 19. Awesome video and discussion about wearing our identity on our sleeves! Remember guys, wearing our identity is a right that our great-grandparents had taken away. 20. Critics in the Indian community want burlesque dancer Tomahawk Tassels to cut the 'Indian act' and retire her stage name. "she lost her gig as the geisha, and was replaced by a Japanese performer. 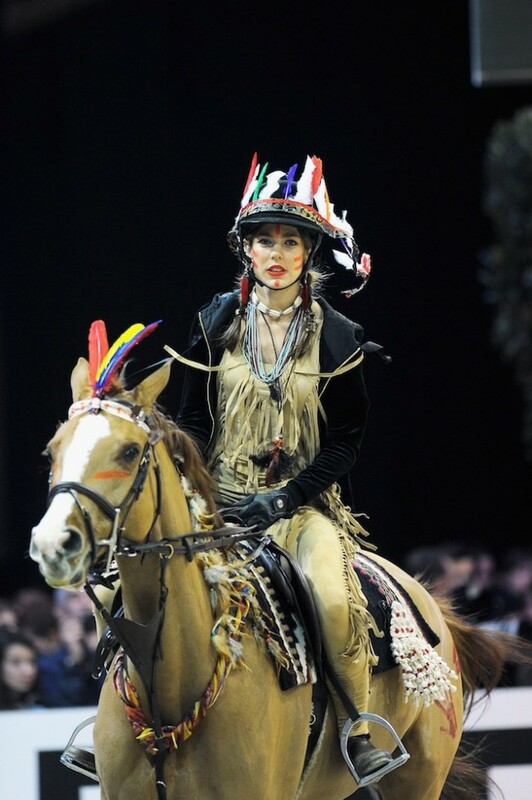 So instead, she came up with an American Indian character." Well that's a RED FLAG if I ever saw one!